In many industrial sectors we commonly use information and communication technologies, automation and robotics. Those countries that are characterized by high labor cost, labor shortage, adverse working conditions, high occupational disease, accident and death rates, excessive claim management, lack of skilled labor, insufficient construction quality, construction time/cost overrun, limited immigration, lack of natural resources, high land prices, high interest rates etc. use advanced manufacturing technologies for staying competitive. In construction most civil engineering sites progressed from mechanization to automation such as tunneling, dam, bridge, and road construction. Since early 1980ies first construction robots had been tested and applied at selected sites. Since early 1990ies automated building construction sites had been tested and implemented. In the first decade of 21st century humanoid robots and exoskeletons were developed and tested on site. 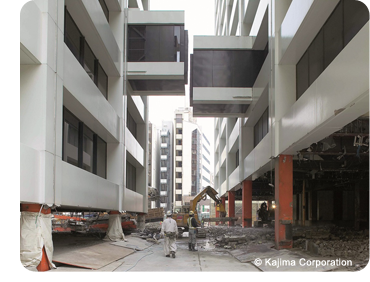 The first decade of 21st century ended with the first automated disassembly of 2 high rise buildings in center Tokyo. The systematic deconstruction achieved a 90% resource efficiency which will be paramount for solving future challenges on limited resources on an ever crowded planet. The second decade starts with the first automated and robotic site in South Korea. All in all, over 100 construction robots and 20 automated sites were running in Japan, Singapore and South Korea.